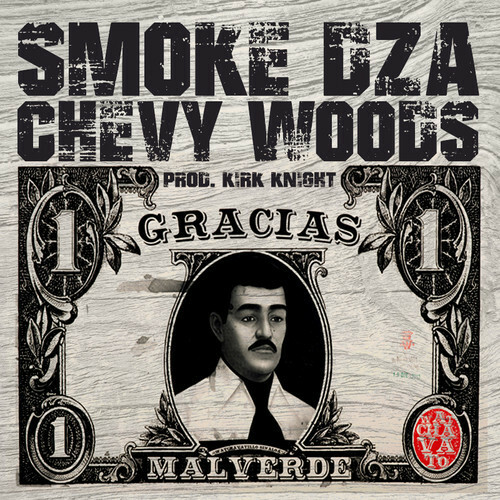 Chevy Woods and Smoke DZA link up for a new hypnotizing banger titled “Gracias Malverde.” Produced by Pro Era’s Kirk Knight, the mellow joint finds Woods and DZA showing off their lyrical skills as they kick rhymes about fine greenery, makin’ moves on the streets and disregarding the competition to get to the money. Take a listen to the duo’s new collaboration for plenty of that slick tough talk you can ride and burn one to. This entry was posted in Audio and tagged chevy woods, gracias malverde, Jet Life, kirk knight, rap, Smoke DZA, taylor gang. Bookmark the permalink.